I had a dream. A beautiful dream. A delicious dream. 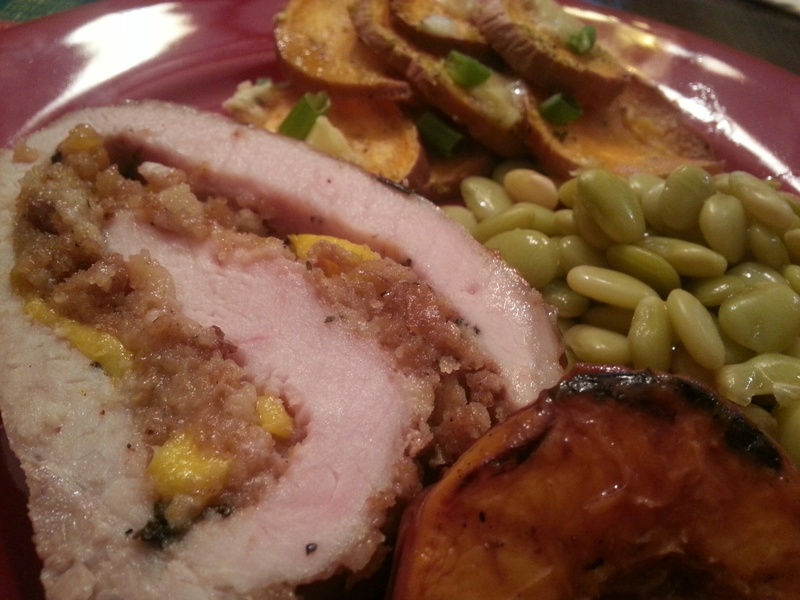 One night many years ago, I dreamed of a pork roast with peach and cornbread stuffing. 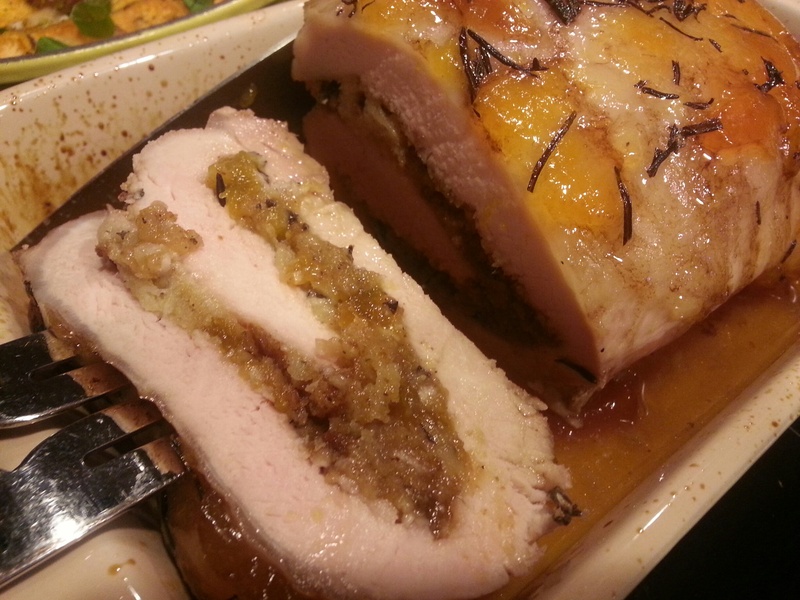 It was so juicy, and decadent I could still smell the aroma from that roast when I awoke. I’m not even joking. Life is stranger than fiction and you can’t make this stuff up! 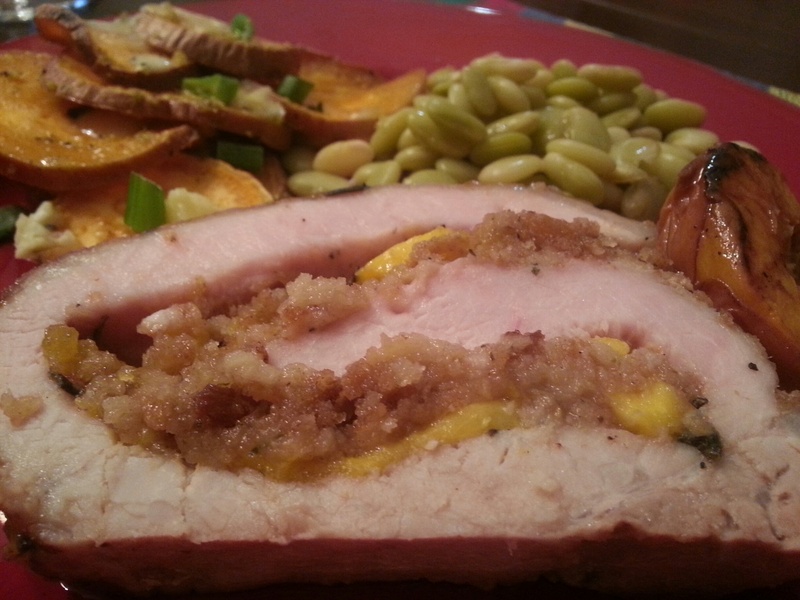 For days I could not stop thinking about that pork roast. For years really. But for some reason, I never actually made it. It was June of 2000 “ish”, and I was having a phone conversation with a friend. We were discussing the upcoming Peach Festival and the events surrounding the festival. We began to discuss planning for the event and of course that included the menu. 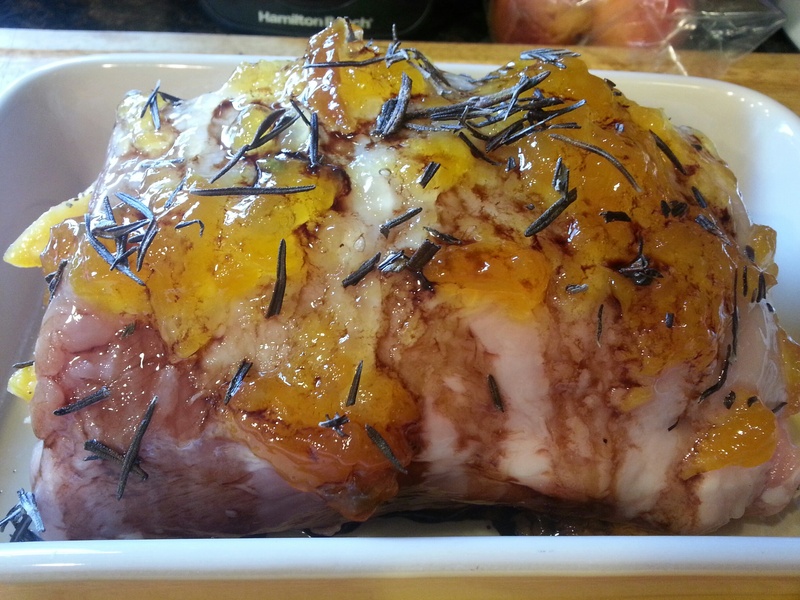 I remembered the dream about the pork roast and thought this would be a great time to concoct a recipe. 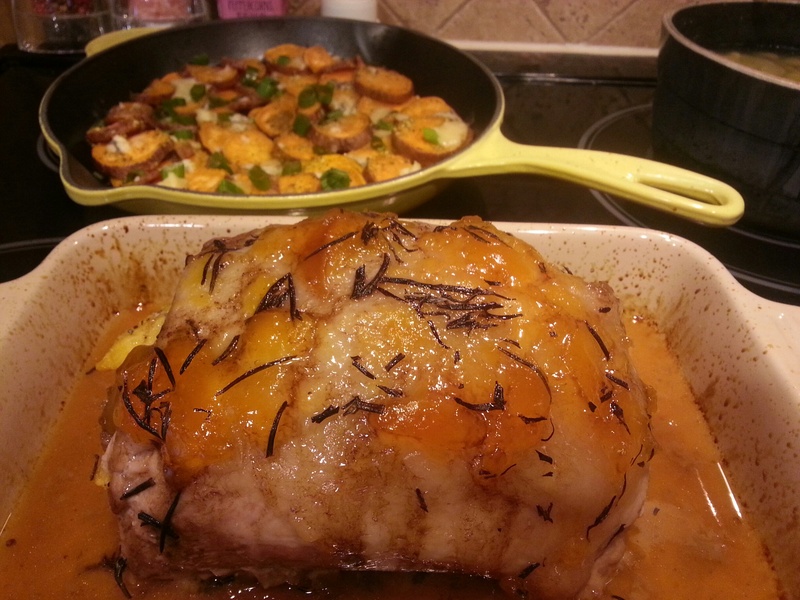 I mentioned it to my friend and she without hesitation decided the roast should be entered into the Peach Festival recipe contest. The next thing I knew, it was! Melt peach preserves in a pot with butter. Add salt & pepper to taste. Set aside to cool. 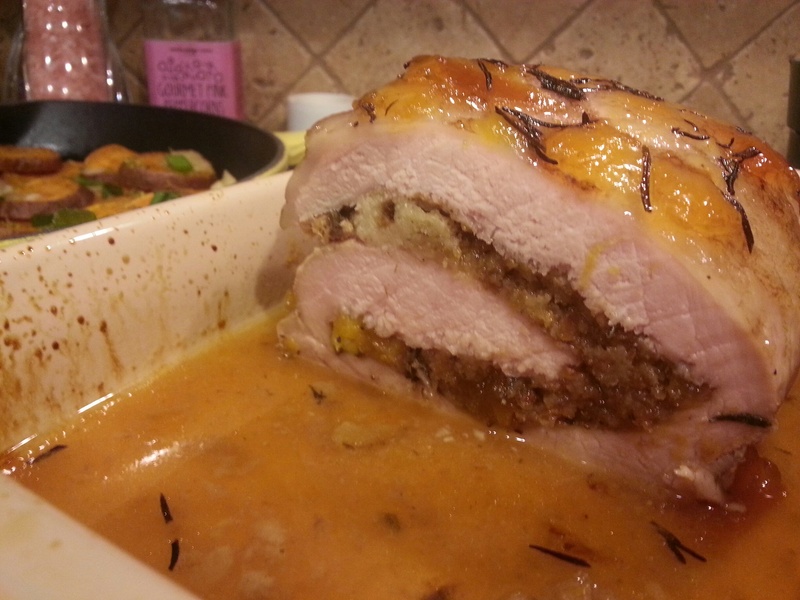 With a sharp knife, slice your pork roast in a spiral pattern until it lies flat on a work surface. 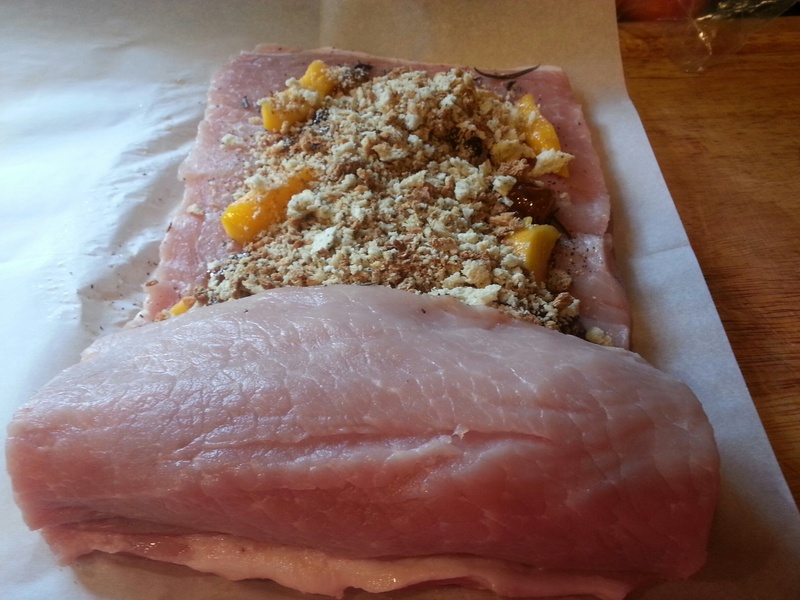 Cover with parchment or wax paper and pound with a meat mallet until thin. Brush 1/2 pot of melted preserves (reserving the remainder for the top) over the roast and lightly sprinkle with additional salt & pepper if desired. Top with fresh Rosemary. Set aside. In a skillet, add olive oil, onion, celery and 2/3 cup peaches. Saute until crisp tender. In a mixing bowl add crumbled cornbread and the onion mixture. Toss to combine. Spoon cornbread mixture over the pork roast. Roll jellyroll style and place seam side down in a greased baking pan. Top with additional melted preserves, remainder of the diced peaches and Rosemary. Bake at 450 for ten minutes, then reduce heat to 250 degrees. Cook for about another hour, or until meat thermometer reaches 145 internal temperature. Due to the variations in size with roasts, a thermometer is the best way to gauge doneness. 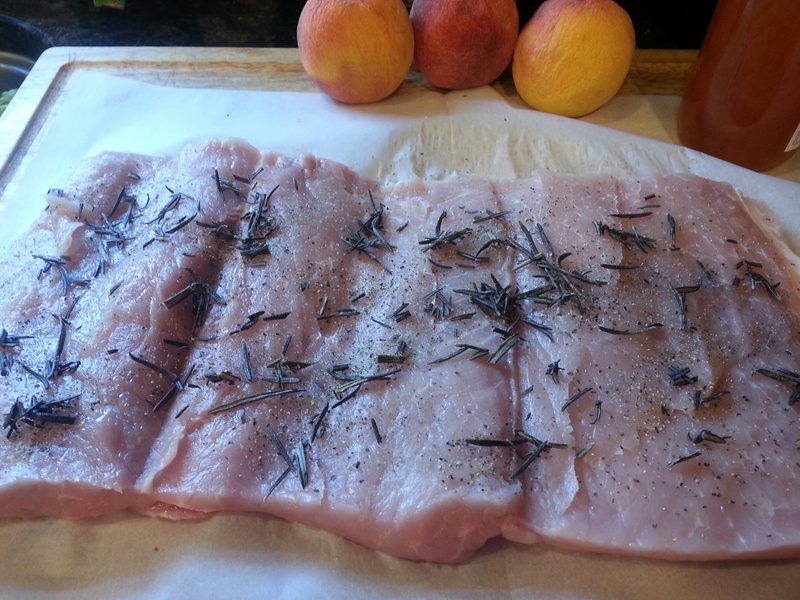 Cover loosely with foil and let the meat rest for at least 15 minutes before carving to allow juices to redistribute. This looks mouth watering. Emma.